Fathers are Special – A Workshop for Fathers (and others). Are you a Dad who wants the best for his kids, and is looking for ways to stay close to them? Do you sometimes have trouble setting limits or solving problems when your kids are upset or unhappy? Would you like to help your family get along together better, and enjoy each other more? The truth is, children love their fathers! They love to hear your voice, to see you come in the door, to sit next to you at the table, & to play with you. Your relationship with your children is probably one of the most important things in your life. But there are a lot of pressures on fathers, and sometimes you don’t get the time you need with your kids. Or you aren’t as close to them as you would like to be, maybe you have trouble getting your kids to co-operate or “do the right thing”. 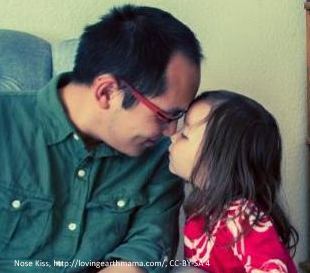 The truth is that dads have such an important role to play in their families. As a dad, you are absolutely a primary parent – from the moment you first learn of the pregnancy right through to your child’s adolescence & young adulthood. While the first months & years often seem to be mothers’ territory, your constant presence as someone outside that intense bond is very important. And as they grow older, your children want YOU more than any of the things money can buy. This Parenting by Connection Workshop is for fathers, uncles, grandads and other men who care for children. It will give you simple, practical tools for building on the closeness, caring & love you have, so that you can enjoy your children more fully, they can enjoy you. These tools will also help with the difficult times – when behaviour goes “off track”, limits must be set, or you are all upset with one another. WHO: For dads and other men who care for children aged 0-12 years old. Parents from the school will have priority. You may be placed on a waitlist.